Well, it’s that time of year again for me. Ph.D. work is ramping up–papers and research–so I’ll be cutting back the posts to once a week again for a while. I have little time to shoot during the fall semester. 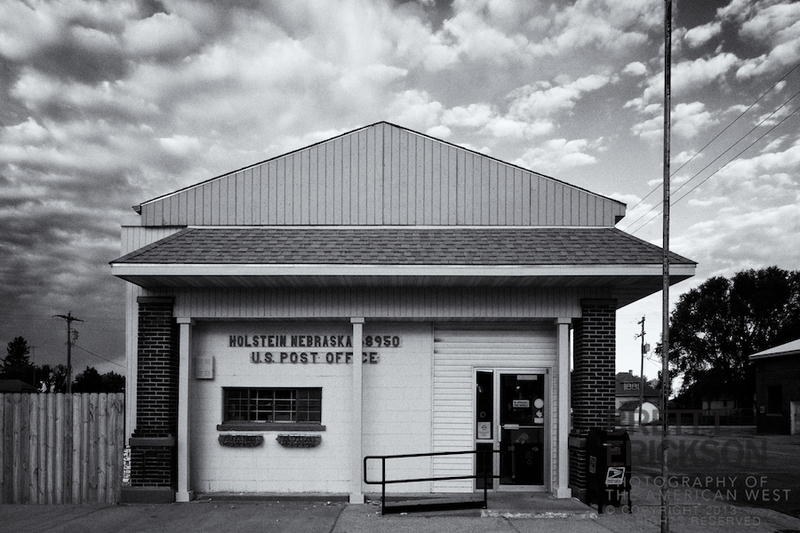 Thus, this image of the progression of lines and spaces present in the Holstein, Nebraska, post office is it for this week. I enjoyed the notion of decay coupled with a vague reference to the colonnades of the Parthenon, hinting at the decay of yet another once-mighty empire: the U.S. Postal Service. 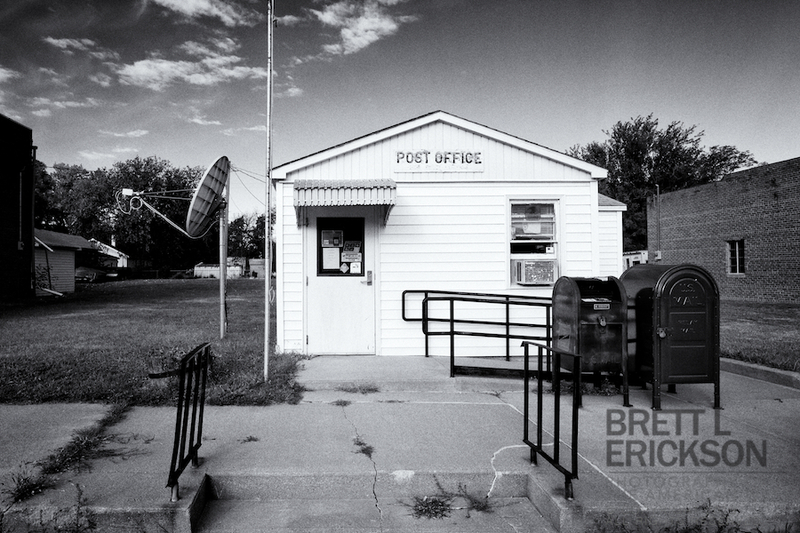 My next solo exhibition is opening in April 2014, and is titled “Return to Sender: The Endangered Rural Post Office.” It’s more artistic than my previous documentary work, but how is a secret until the show opens. Suffice it to say the 30 images that will compose the show are far deeper than any of the attendees can possibly realize, and each will be an edition of only 4. The project is about the endangered rural post office, the heart of small town America, and the loss of which often signals the death of a town. But how do these post offices fit in a digital world of mobile e-mail, Facebook, and blanketed cell coverage? 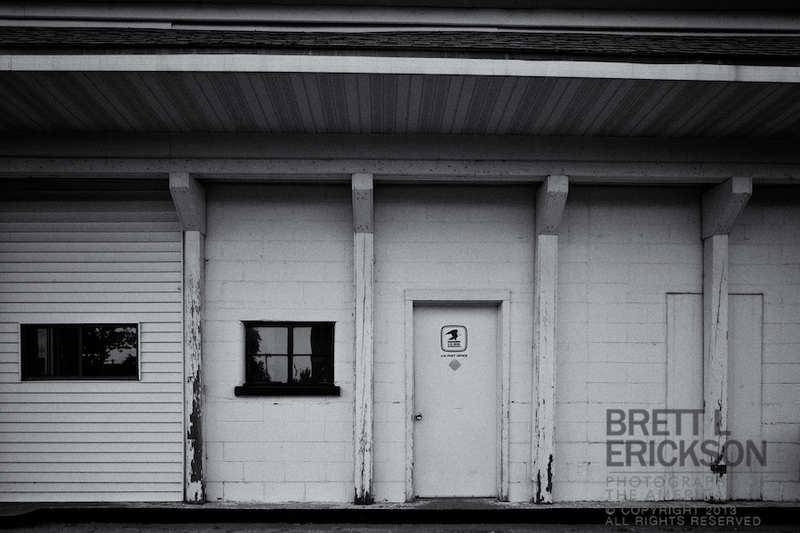 They are symbols of a passing world, much like the small towns they inhabit. 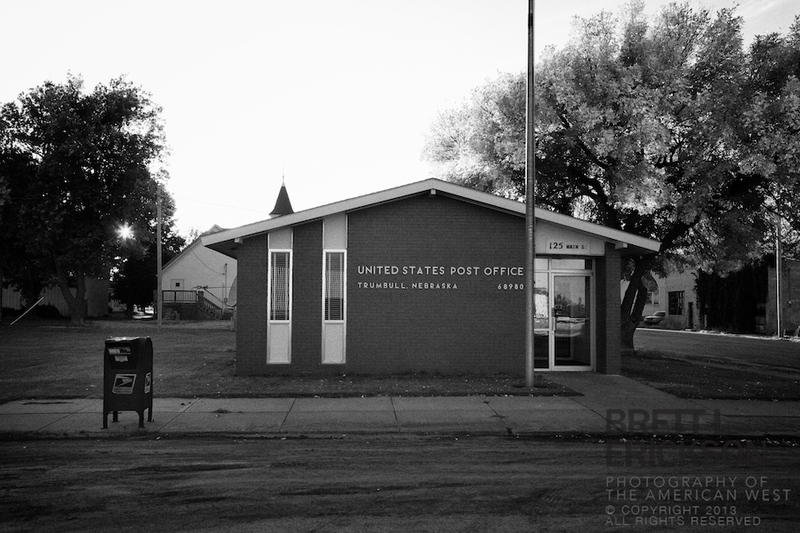 As much of the Great Plains population wanes, the dying post office emerges as the pivotal icon of the changing century.